The present book is a very helpful learning manual for undergraduate and postgraduate students preparing for FCPS, MD, MRCP, FRACP or any other equivalent examinations in internal medicine, or even any subspecialties. It would also be useful to practicing doctors. The students can carry the book to the ward and with its help practice examination of patients in a systematic way, thus prepare themselves for their practical exams. Follows systematic approach to diagnosis and management. 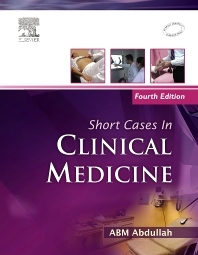 Presents many short clinical cases, followed by relevant questions, their answers and a brief discussion. Each case described in the way the student is expected to approach a medical situation in examinations as well as in day-to-day practice. Provides short notes on various common diseases that will help the students to get a comprehensive knowledge without going through big textbooks. About 600 coloured photographs and a few x-rays, CT scans, etc. provided to help students to develop a good clinical eye.